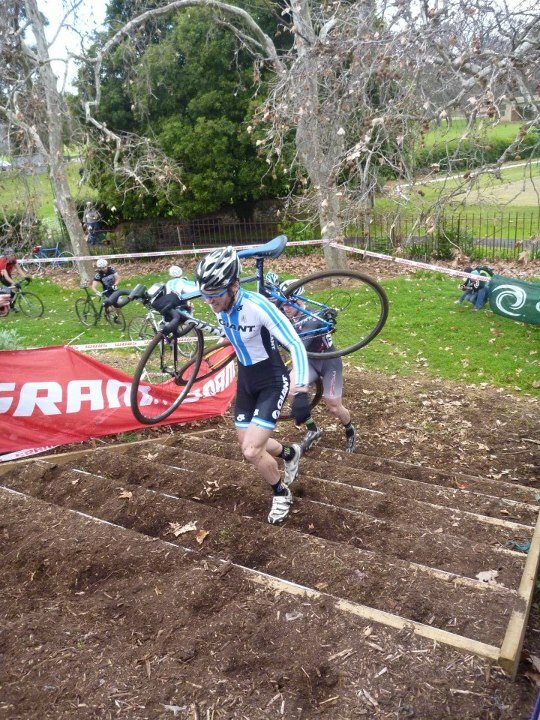 Lewi Rattray's CX Blog: NCXS rAdelaide! 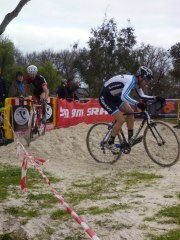 Just got back from a pretty full on weekend of CX racing in Adelaide on the weekend. Adelaide have a pretty sweet cx scene going on so it was about time I went over to check it out. 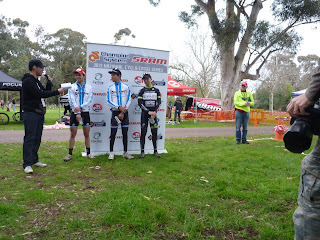 The first race on Saturday was on a very fast and fairly flat course in some pretty parklands about 10mins ride from our host Jackie's house. There was tarmac, plenty of grass, a sand pit, an awesome stair section and a few muddy sections to power through. Upon arriving to the course I was greeted with even more custom cycling gear from the legends at Champ Sys! Jersey, knicks, rain jacket and fleece/windproof jacket, awesome! These guys make some really high quality gear, hit them up for custom clothes for your team/club/charity ride. After a few practice laps, we were on the start line waiting for the gun. After being called up 2nd, I got a shocking start as I struggled to clip in, and was riding in about 20th. Over the first lap I saw Lachie fly off the front with AJ and Jade Lean off the front of the main bunch in chase. I was able to remain calm and move up infront of the numerous riders and finally bridge the gap to the leading trio. The 4 of us rode a few laps before we dropped Jade after one of the technical sections. About 40mins in, Lachie turned it on and gapped both AJ and myself. AJ gapped me giving chase to Lachie, but he was too strong and put 30 odd seconds into us pretty quickly. I destroyed myself to catch up to AJ, but buggered it after putting a foot down in the sand pit, and AJ got another gap on me; the final result, Lachie, followed by AJ at 41'' and myself at 55''. Considering the level of these guys I am absolutely stoked with the result, and this has given me some confidence that I'm on the right track fitness wise. The prize was pretty cool too, an engraved beer mug! After a dip in the freezing pool and a delicious dinner at Jackie's the next day's race was upon us. Today was a different course, still very fast, but with a few rocks, some barriers and plenty of sharp corners. Off the start I was back in 15th or so, but again I was able to bridge up to the same trio of Lachie, AJ and Jade after the first lap. We were riding well together and I noticed my front wheel was washing out around some of the corners. By the start of the third lap, it was well and truly flat; bummer, and the tech zone was at the end of the lap! There was no hope of keeping with the leaders as I was losing my front wheel round every corner. I ran most of the windy sections of the course, and was passed by a heap of riders, before swapping my bike and tearing after everyone. I was able to reel in a few riders and just caught the main chase group on the finish line, ending up in 9th place (I still managed to score some series points!). The course had plenty of victims with punctures, as there were sharp rocks and a little glass scattered round the track. Not the result I was hoping for, but my lap times have me right up with the leaders if you ignore my 3rd lap. Nothing that could be done, I'm happy with how I rode all things considered. Lachie took the win again from AJ, with Jade in third. The ladies racing scene is pretty strong now too, Lisa Jacobs is killing it, winning every race so far, with Gemma Kernich, Mel Anset, Jackie Schapel, Lindsay Gorrel, and others all fighting for her wheel. Great to see! Jackie repping Liv-Giant and 4Shaw! 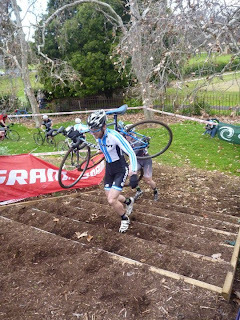 It was an awesome weekends racing, and Adelaide certainly has a CX scene to rival Melbourne's. 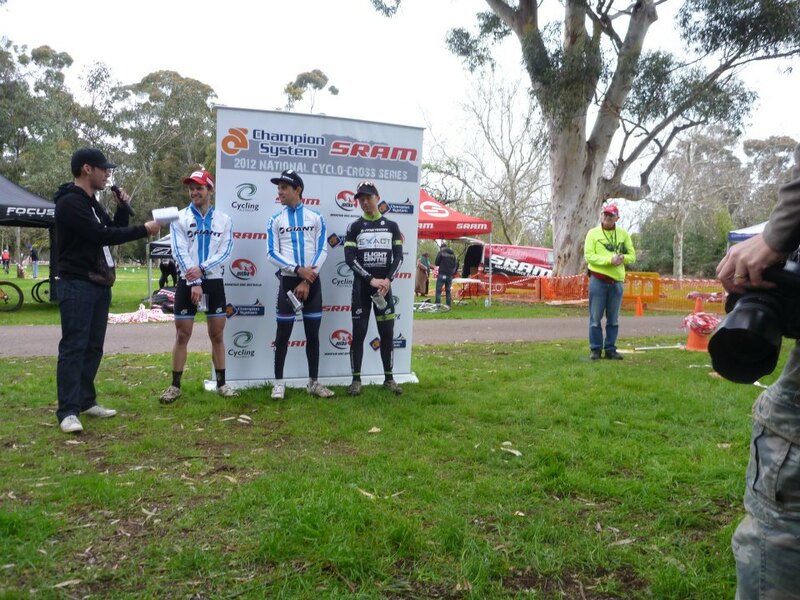 Port Adelaide CC put on a great event, and I'm looking forward to heading back soon. A few people to thank for such an awesome weekend; Aaron from Giant got us over there in the Giant van, which made life super easy, so much room! His mate Jake was also on hand to share the driving and help out on course. Jackie and Matt were exceptionally generous guests, and staying in a house was so much nicer and easier than accomodation. 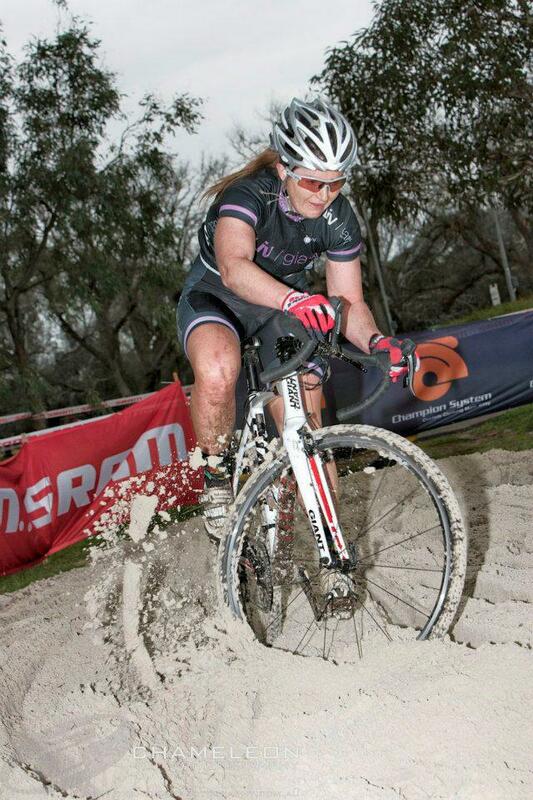 Jackie also put in a stellar effort on the bike, picking up two 4ths, and some impressive efforts off the front. Evan and the crew at Giant Cycling World Adelaide helped us wash and prep the bikes after the mud on Saturday, and they were in perfect running order forSunday's racing. They also had a sweet setup with tents on course providing an ideal place to warm up on the trainer and hide from the sun. We now have quite a few weeks before the next round at the end of September in NSW! Time to knuckle down and get training!